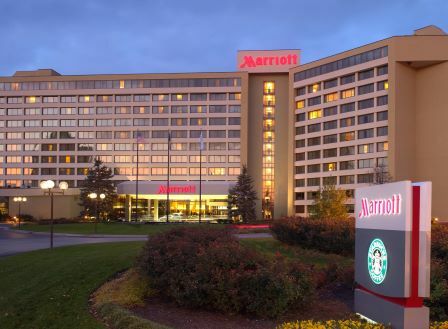 IAITAM’s team of asset management experts and select industry peers are heading across the U.S. and Canada this fall to address the issues pertinent to initiating, building and enhancing your organization’s IT Asset Management Program, the business side of IT. We began the Road Show events in May of 2015 to help IT Asset Management professionals come together in a local setting, because let’s face it, budgets are tight and approvals can be hard to come by. 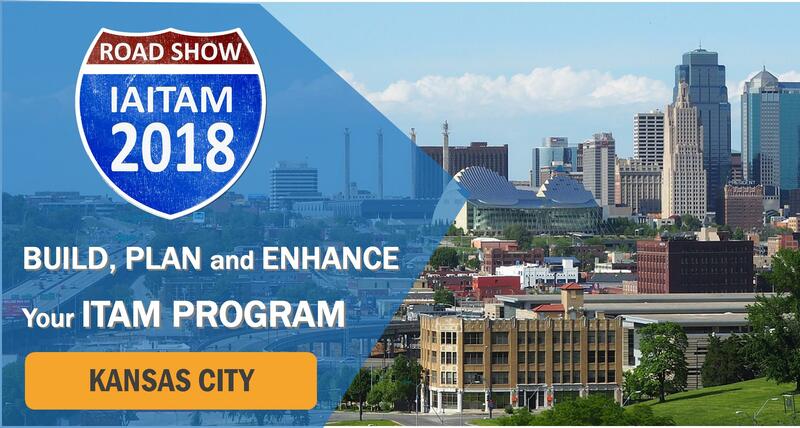 Through these events IAITAM is able to offer vendor-neutral education on a wide variety of relevant and trending topics in cities around the globe, allowing participants to build lasting relationships while enhancing their ITAM knowledge. We are now heading into our 9th Road Show series and we couldn’t be more excited to bring these powerful events back to major cities across the U.S. and Canada! After all, IAITAM’s mission is to be the principle resource for comprehensive ITAM best practices worldwide, enabling practitioners and industry professionals to achieve continuous success through ongoing education, certifications and networking as well as providing information pathways for knowledge enrichment and professional growth. IAITAM’s team of experts will be on hand to impart knowledge on a wide variety of topics as they relate to IT Asset Management. Presentations may vary slightly by location. In the past few years, the ITAM solution’s market has placed its emphasis on Software Asset Management (SAM), much to the dismay of people who understand ITAM. Fact – you cannot do SAM without HAM. Software lives on hardware and the most complicated software runs on servers where the licensing is the most challenging to manage. In this presentation we will reiterate the importance of HAM and discuss how HAM becomes even more critical as technology continues to evolve. NEW TOPIC! Successful Management Tools Implementation- “Real” Data Integration a Must! This robust presentation will touch upon all aspects of successful tools implementation and the importance of “actual” data in this activity. While we will not be focusing on or rating specific tools , we will be sharing our experience and successful techniques for data and tool integration. Demystifying the “hype” around this discipline will be the focus of this segment. One of the most frequently asked questions of IAITAM is “how do I get executive buy-in?” In this presentation we will look at the need for developing a strategy which includes a roadmap, your organization’s social network, the metrics to consider and currency. In this presentation we will explore in 10 steps the critical success factors necessary when developing and managing contracts for technology goods and services. We will also touch upon the types of contracts, and how they need to be memorialized in the IT management tool environment. This presentation will outline the current state of the Technology Cloud environment which is still a “Work in Progress”. Major cloud providers, various types of cloud services and relationships of the cloud provider to the cloud consumer will be discussed. Current IT Asset Management guidance available to deal with the complexity of the cloud will also be highlighted. IAITAM has a simple saying – “you can’t secure what you don’t know you have!” We believed so strong in this message we developed a certification course. The IT security topic remains a high, if not the highest, priority on every organization’s project list. This presentation will present more reasons why ITAM must play a critical role in IT security and how IT asset management enables the IT security initiative. IT security cannot succeed without the function of ITAM! This fast paced interactive session, moderated by IAITAM, is an opportunity for the attendees to discuss the latest topics impacting ITAM, including HAM & SAM, Tool Implementation, Selling ITAM, Contract Management, IT Security and Managing the Cloud. Participants will work within groups to identify key challenges and solutions for each topic and then present their findings. Besides learning more about these topics, the attendees will also have the opportunity to network with their peers. Members SAVE up to 40% on a full day pass using their Member Promo Code.